Swimming pools showcase the pinnacle of urban luxury. When you find out that your new city house has a designer swimming pool, what else can you wish for? Buying a house with a swimming pool could also be a better investment. On top of it, sometimes a little addition to the pool can make it the center of attention for everyone. 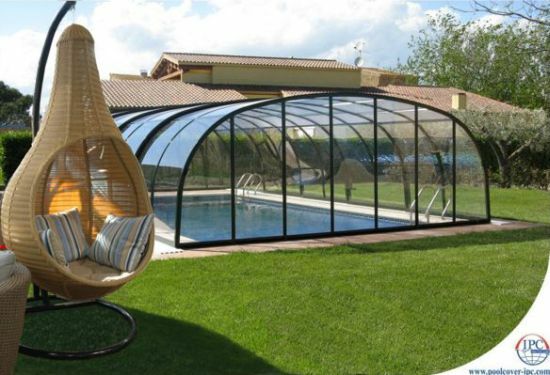 For example, you can use these telescopic pool enclosures to make your pool appear like a work of art. Well, well what do we have here today? 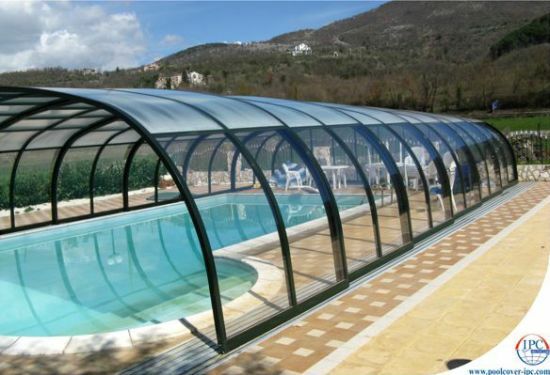 A super cool and easy to operate pool enclosure that will not only take away the maintenance problem, but also adds to the aesthetics. 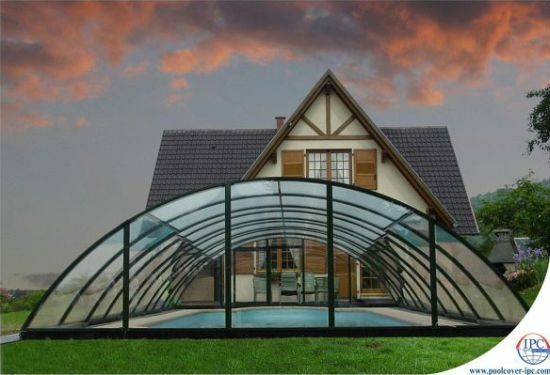 Designed by Inter Pool Cover Team, the telescopic pool enclosure is a stunning cover for your swimming pool that helps keep it in best form even in the worst weather conditions. 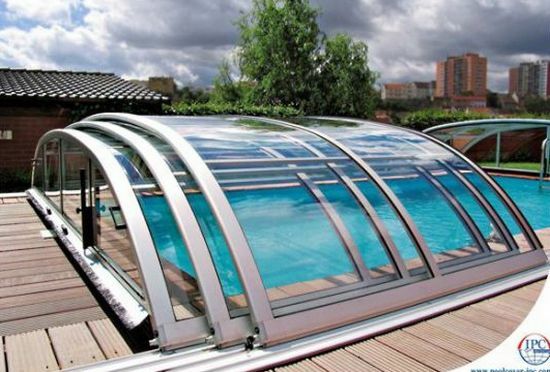 Offering year-round protection to your pool, this transparent, telescopic enclosure gives you the perfect luxurious swimming experience. In case it begins to pour, all you have to do is just activate the see-through enclosure and resume your swim while enjoying the picturesque view of the surroundings. An Air Fresh system generates active ventilation to the covered area, giving a fresh, pleasant environment. Revealing the pool’s clear water expanse is not very difficult, just slide the segments of the enclosure and see it all. Taking a plunge in a swimming pool was never so pleasurable. On top of everything, it is also beneficial for your health. You may be a proud owner of a luxuriant private swimming pool in your sprawling mansion but all bets on a ranch for nothing can replace the thrill which accompanies the kind we are talking about. A private swimming pool in the unfathomable seas at your own wish, something you’ve never heard or thought of. 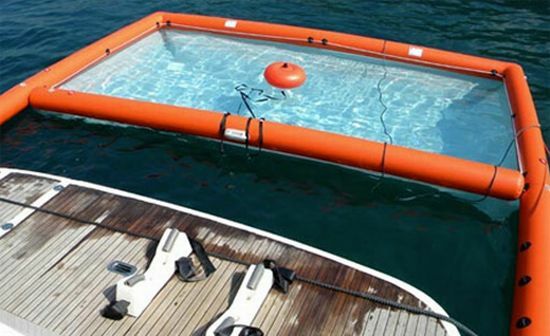 Euroship by Pietro Castellino is a floating swimming pool that can be attached to your yacht, anywhere on the sea. The inflatable pool has holes on its bottom surface to let the seawater seep in and it takes just 5 minutes to get done and enjoy the cool swimming. We have heard about floating houses, floating restaurants, floating cities and now Mobideep has come up with a brand new concept of a floating swimming pool. This innovative design adds thrill as well as safety to your poolside outings. 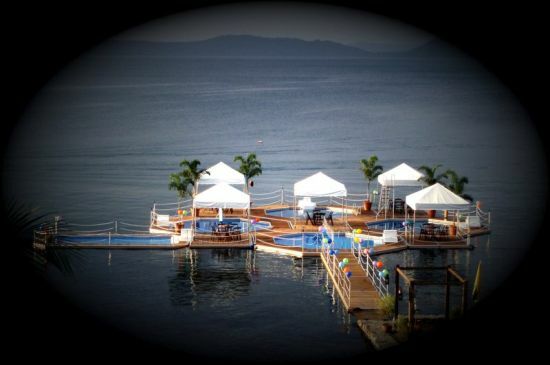 Underneath the serene beauty of nature, you can now enjoy diving, swimming and water games in this modern floating pool that floats like a lake, damn, pond, lagoon or marina. Surrounded by greenery and peace, the pool assures you have complete safety in its clean and healthy water. For all you party freaks, this floating pool is the next exciting destination to throw your cocktail parties, birthday parties and for organizing fashion shows. Just get engrossed in the beauty of nature with this amazingly designed pool by adding the flavor of adventure and pleasure to your relaxation. In this day and age of digitalized as well as interactive ambiance, as spectators, we can only hold on to our seats to expect the most mesmerizing and out-of-the-world experiences every so often. Creative minds are at their best when exhibiting their most innovative creations and such is the case with the team of the electronic shadow. The team of Naziha Mestaoui and Yacine Ait Kaci is inspired by an island that connects to the rest of the world only via the water that surrounds it. Giving their inspiration the shape of Ex-isles, the duo has conceived an interactive installation that consists of a 5 by 2 meters pool which is 20cm high. This pool is filled with luminous water and a numerical extension on the internet. The water in that pool is set in motion by a water pump. This results in interactive images of the water as well as the mix of the sound, created by the real water. Even the sounds resulting from the interaction, creates a new type of sensation. Ex-isles is a project for an exhibition that aims to connect the real world with the virtual via the medium of water. Ideal to entertain visitors in the most avant-garde form, such a projection will virtually captivate every person’s senses. 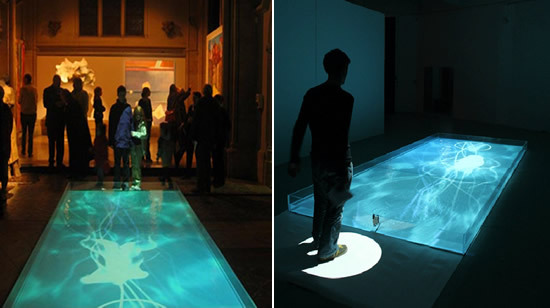 Even as the internet visitor will step in their virtual space, the water will project a luminous shadow of the same person on the water body. Links are created between the physical visitors of the exhibition and the net visitors. This results in a virtual connection between the two, so-called islands, on each side of the pool. The idea is to signify the presence of some visitor and the behavior of the luminous shadow over the water. The swimming pools that were in fashion in yesteryear included steps and may be a shallow end or a deep end. The ones which will rule the next year will be including a lot of different characteristics. These would add to the variety and pleasure. Moreover, they will also have a much more exciting entry plus exit from the pool. Beach entries in the swimming pools extend a lot of ease to the young ones. Furthermore, they extend the facility to wade for the people who are swimmers. Innovative ideas will include infinity edges as they are perfectly apt for the swimming pools that possess a view. The elevated swimming pools might have acrylic viewing panels. These are growing as a trend in the market. Now that the world is making every effort to go green for the environment then how can the pool market stay behind? There will be eco friendly swimming pools available for the people committed to conserve environment. In addition, these pools will use much less water and consume less power. The swimming pools in the earlier times were only placed in the backyard of the house but not anymore. Now-a-days they are being installed as a vital part of a room. They have great entertainment facilities as well to make you feel totally comfortable. 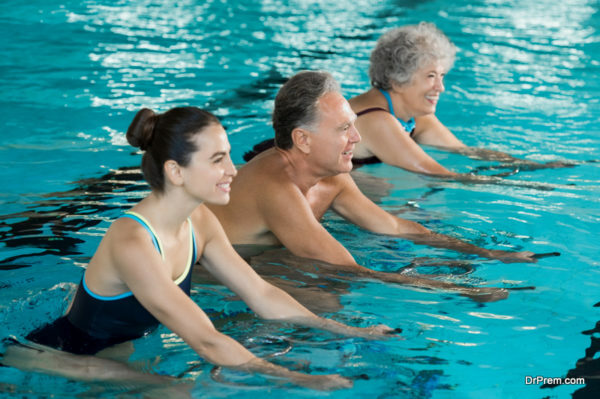 The swimming pool these days also focus on health benefits for the people who take a swim in them. Moreover, they contain much less harmful chemicals. Instead of toxic chemicals, they have useful minerals that help the body to relax and release the stress completely. 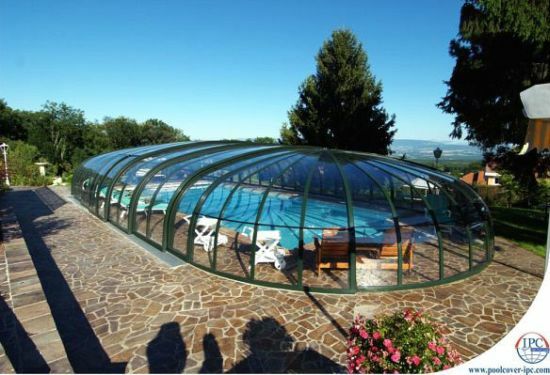 Swimming pools have certainly evolved with time. Their designs and styles keep changing and developing with every passing year. 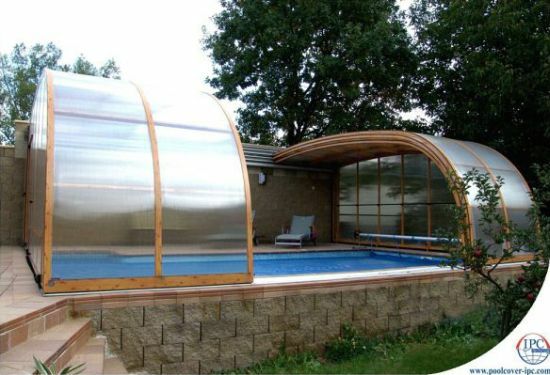 You will find that swimming pools now are much more innovative and have more facilities in them than they ever did.